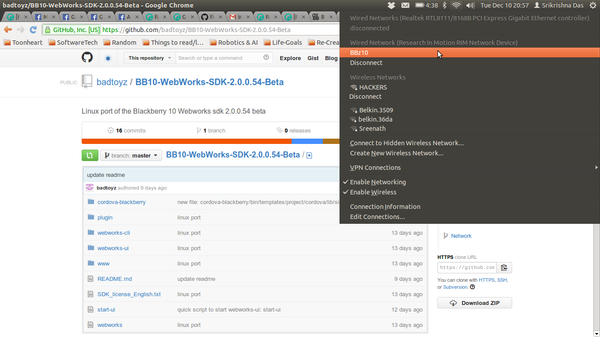 Blackberry WebWorks 2.0 on Linux! 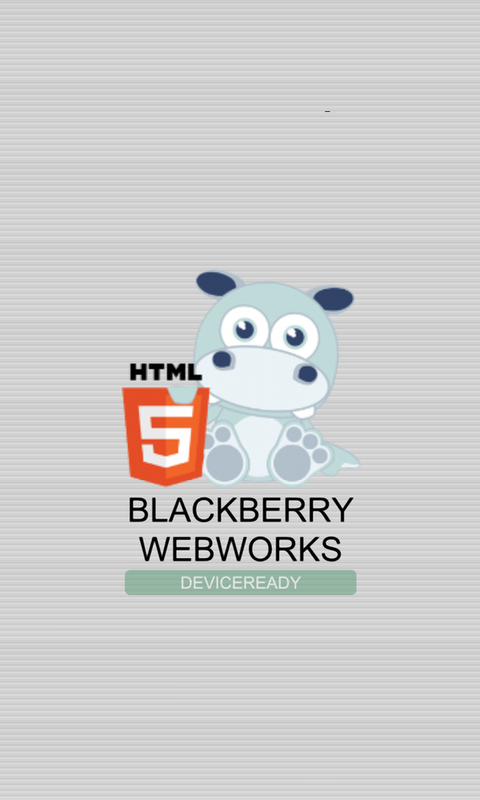 Okay!, so first some history.. was working with Webworks 1.x to get my game Baka – The World’s Hungriest Frog packaged for Blackberry 10.x platform. Ran into quite some problems … not finding debug tokens to missing author.p12 files were just some of them. Wasn’t much “yay!” for me as I spent over a week figuring out why my debug token wasnt generating or why I couldn’t package a simple bar file… all in between making trips to hospital for I was under treatment for typhoid (still under medicine as we speak). This will automatically generate a debug token for you if need be, upload it to the device, and then deploy your project in debug mode to the device. 1. What he mentioned as “automatically generate a debug token for you” wasn’t happening. 2. 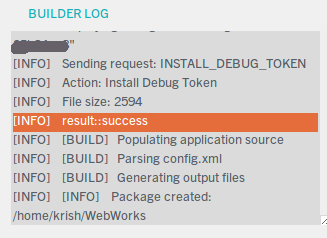 So, I was trying everything manually to create those debug tokens… using csj files with the old webworks debugtokenrequest commands and csk with new debugtokenrequest… wait.. in short I had both stuff installed in a big mess. Decided to do a clean install on my laptop/Ubuntu host … so here I take you through how it was done along with some pitfalls. Try creating a project and Build it. For me, it didnt 🙂 .. It got stuck at a dialog called “Creating…” or something and hung there. \\ Stop the UI by Ctrl+C on that term you were running it on. Was able to create the project. 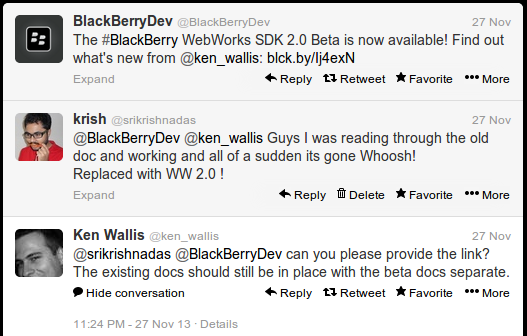 I was using z10 dev alpha B.. you might have a z30. Well, this doesnt work so seamlessly as it does on Windows, aka.. it doesnt connect via usb as a recognizable device.. this is the reason I couldn’t forward the usbdevice into my VirtualMachine windows. Note: I renamed it to BBz10 to remember so. 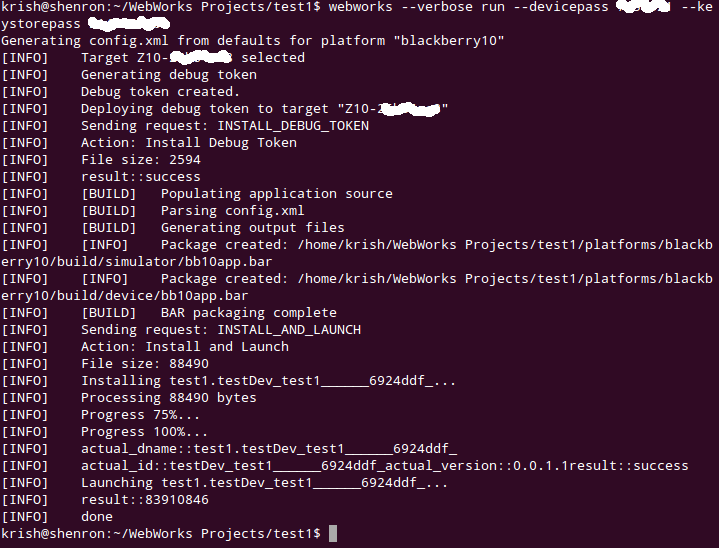 BlackBerry z10 in dev mode on Linux as a usb network. What the!!! Same old error. 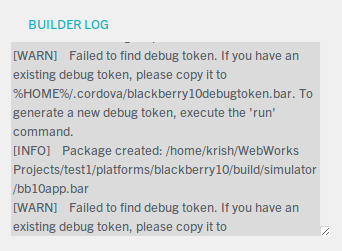 Now I dont want to use that blackberry-debugtokenrequest script again? [ERROR] The Specified CSK password is not valid. 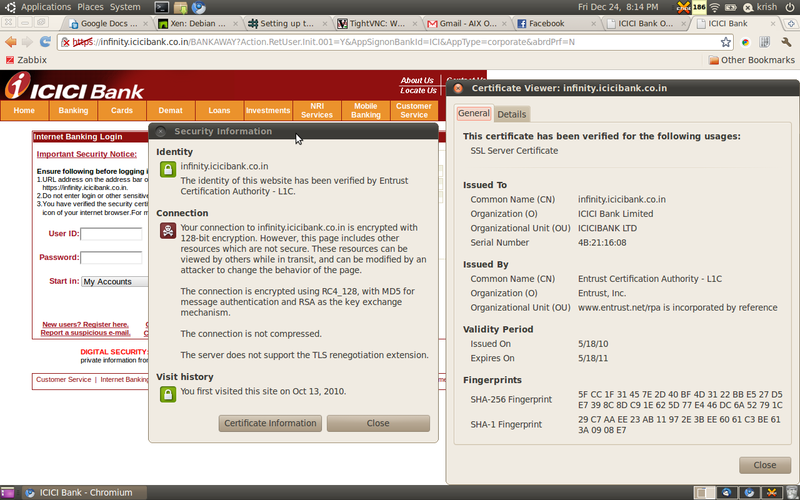 Pretty sure that I had my csk password correct. I’m pretty sure I had to generate that author.p12 on Windows. Just can’t remember at the moment. Yippie! Finally… webwork run also deploys if the app is connected. Also it created debug keys and pushed it to the device. I could see that on the “Settings -> Security and Privacy -> Development Mode” screen. But wait, I want to see this working via UI too. Looks like they put in some updates on their login page code, which has pushed it over to the insecure side. Really no time to investigate if this is serious or just fine. Update from others: Looks like icicidirect also had a security flaw and someone here has had time to pester the ICICI guys to fix it 🙂 … Nice work mate!